Sometimes a commissioned work gets a secret life of his own, much stronger than the initial idea, much more surprising, intriguing and overwhelming than we could hope for. And so unexpected for both sides, the artist and the commissioner that the final result reveals just pure marvel, wonder and beauty. "Electric Babyland" can be seen in that aspect. A record that has been Tom's dream for many many years time - ever since the "Lullabies" 7 inch Single came out on the obscure dutch label Meeuw Musak with 3 wonderful pieces for guitar and musicbox. 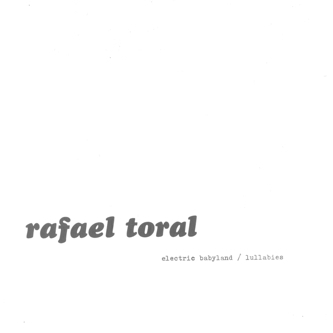 In a pragmatic viewpoint, "Electric Babyland" is what has been coming out of the initial idea to extend the original Lullabies into a more complete work. First versions of these pieces have been performed during the Electric Babyland European Tour in 2002, revealing a lot of potential from just the live versions. And now, after a lot of studio work the final release of these pieces eventually sees the daylight.